The government has requested that local administrations remain on the alert for severe risks of volcanic eruptions, as the number of volcanoes showing abnormal activity continued to raise. As of Friday, activity in 22 volcanoes was categorized as above normal, with six at alert level three and 16 at level two. Volcano status ranges from level one, which is normal, to four, which is the highest alert. The Volcanology and Geophysical Disaster Mitigation Center (PVMBG) raised the status of Papandayan, one of the major tourist destinations in Garut, West Java, to alert level three on Friday. There were 48 shallow volcanic earthquakes detected, with one deep volcanic earthquake and a white cloud emitted as high as 20 meters on Thursday according to National Disaster Management Agency (BNPB). The office had prepared contingency plans to anticipate worst-case scenarios if Papandayan erupts. If Papandayan erupts, it would impact 171,744 people living in the five subdistricts and 20 villages. 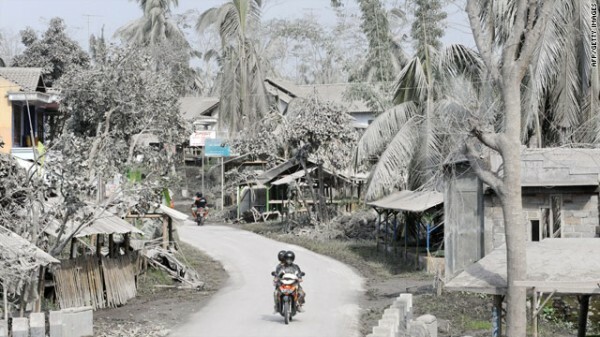 Indonesia has been dubbed the world’s most disaster-prone country for its frequent earthquakes, volcanic eruptions, tsunamis, floods and droughts. Indonesia lies in the “Ring of Fire”, where dozens of volcanoes are still active. A 2011 report from the United Nations International Strategy for Disaster Reduction (UN-ISDR) ranked Indonesia the third-most prone nation out of 153 countries for earthquakes, with 11,056,806 people exposed. It said that earthquake hazards could potentially cause a loss of US$79.13 billion to the nation’s GDP. A 2010 report from the World Bank ranks Indonesia as 12th among countries with relatively high mortality risks from the multiple hazards. 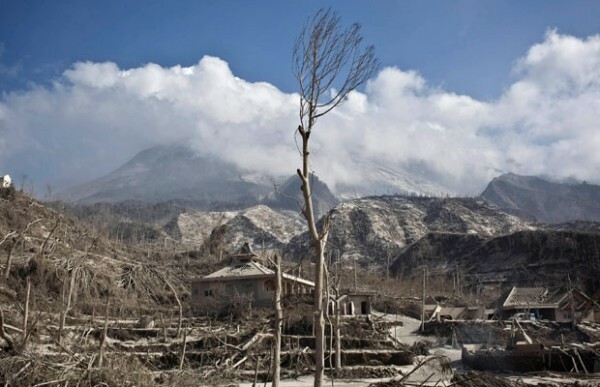 Mount Merapi, which erupted last year, caused a financial loss of Rp 3.59 trillion. The eruption of Mt. Merapi damaged at least 23 bridges, including Pabelan bridge connecting Yogyakarta and Magelang. On Thursday, the government elevated the status of three volcanoes: Tambora, Lewatobi Perempuanand Anak Rakana in Nusa Tenggara. 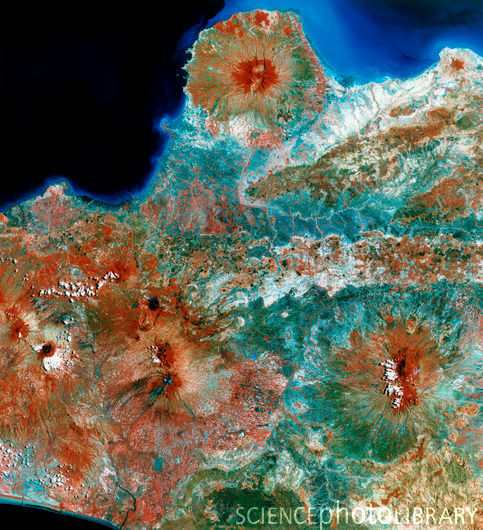 Tambora, in Bima Regency, experienced 14 shallow volcanic earthquakes. Tambora erupted in 1815, killing about 71,000. 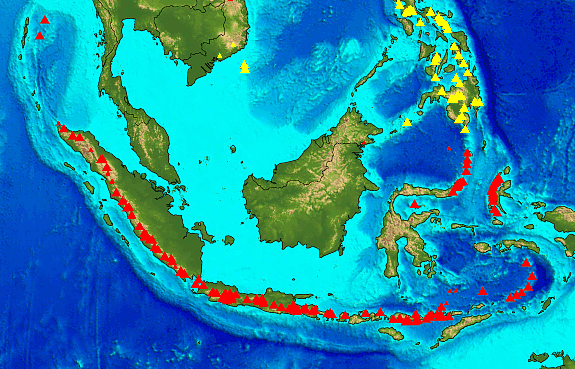 The eruption emitted some 100 cubic kilometers of volcanic material across Kalimantan, Sulawesi, Java and Maluku. Activity at Lewotobi Perempuan in Flores increased as well, experiencing 24 earthquakes on Thursday. There were only five the day before. 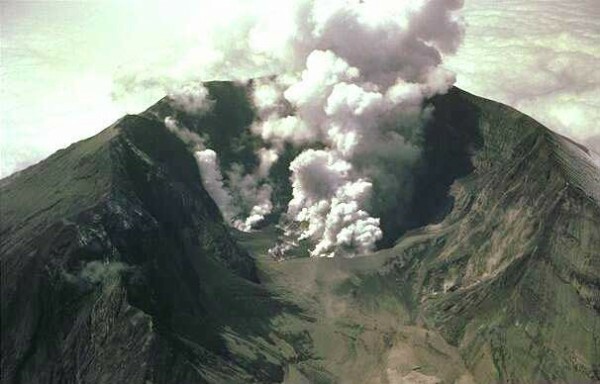 Lewotobi last erupted in 1935. The geography of Indonesia is dominated by volcanoes that are formed due to subduction zones between the Eurasian plate and the Indo-Australian plate. Some of the volcanoes are notable for their eruptions, for instance, Krakatau for its global effects in 1883, Lake Toba for its supervolcanic eruption estimated to have occurred 74,000 BP which was responsible for six years of volcanic winter, and Mount Tambora for the most violent eruption in recorded history in 1815. 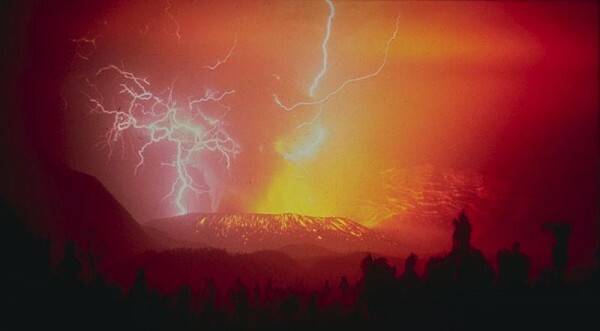 Volcanoes in Indonesia are a part of the Pacific Ring of Fire. 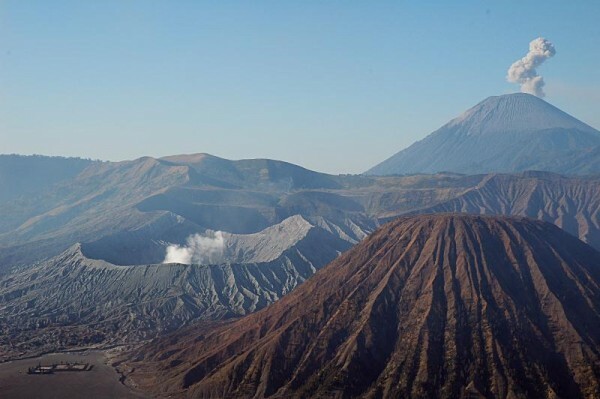 The 150 entries in the list below are grouped into six geographical regions, four of which belong to the volcanoes of the Sunda Arc trench system. The remaining two groups are volcanoes of Halmahera, including its surrounding volcanic islands, and volcanoes of Sulawesi and the Sangihe Islands. The latter group is in one volcanic arc together with the Philippine volcanoes. The most active volcanoes are Kelut and Merapi on Java island which have been responsible for thousands of deaths in the region. Since AD 1000, Kelut has erupted more than 30 times, of which the largest eruption was at scale 5 on the Volcanic Explosivity Index (VEI), while Merapi has erupted more than 80 times. The International Association of Volcanology and Chemistry of the Earth's Interior has named Merapi as a Decade Volcano since 1995 because of its high volcanic activity. The word for Mount in Indonesian and many regional languages of the country is Gunung. The "Ring of Fire" is an arc stretching from New Zealand, along the eastern edge of Asia, north across the Aleutian Islands of Alaska, and south along the coast of North and South America. The Ring of Fire is composed over 75% of the world's active and dormant volcanoes. This huge ring of volcanic and seismic (earthquake) activity was noticed and described before the invention of the theory of plate tectonics theory. We now know that the Ring of Fire is located at the borders of the Pacific Plate and other major tectonic plates.